Do you need to set some kind of Key, Value info up on a VirtualMachine in vCenter that you can access from the API? I thought with 5.5 and the addition of this that there was going to be some kind of actual Matadata fields added to the vSphere API, but it seems that still hasnt happened, as this is incomplete and missing any way to actually use it. 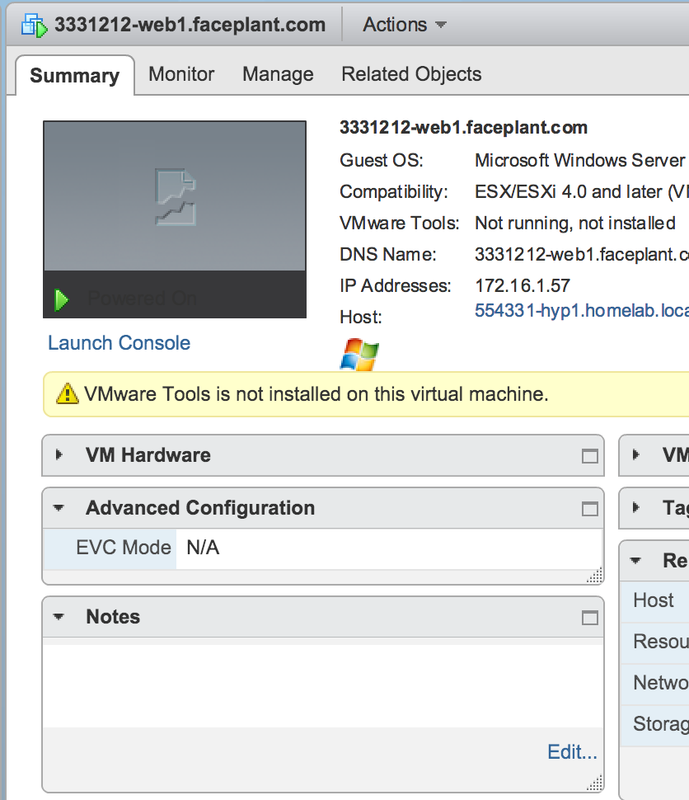 The good news is that since 4.0 there has been a way to add key value pairs to the vm.config.extraConfig. The key has to be a String, and the Value can be an object. I have used this to store all kinds of stuff from Strings to JSON and XML payloads and even base64 encoded files. I wrote a sample for the pyVmomi-community-samples project that uses the vm.config.extraConfig to store some key value pairs. You can get it here until it gets accepted by the project and merged into master. And this will update you from 0.4 to 0.4.1 If you have any questions or need any help please feel free to reach out to me. I recently added a patch to YAVIJAVA that allows you to reset an alarm status. William Lam has posted in the past about how to hack the perl sdk to add this functionality, so I thought it would be a good idea to add this functionality to YAVIJAVA. I have manually implemented this in Groovy and in python for pyVmomi so adding it to the primary library I use seemed logical. Im still doing a bit more re-work to YAVIJAVA but if you want to use that now you can check out a copy from GitHub and use the gradle build script to build a copy for your self. I havent tested this yet so YMMV. Before I do the next official release of YAVIJAVA I will have tested it out and include a working sample. As you can see I imported requests, then I set requests.packages.urllib3.disable_warnings() and that disabled the warning message for my script. I think this is a bad idea to do for several reasons, but I do understand the needs for doing it. Other pyVmomi developers think having to expose the Managed Object ID is bad and that having to expose it shouldn’t ever have to be done, but sometimes you just cant get away from needing it. One such instance would be if you are interacting with a vCloud Director and need to do something with a VirtualMachine, then you find you need to go to the vCenter where that VirtualMachine lives to do something else to it that is not supported from vCloud Director. vCloud Director will give you the ManagedObject Reference ID so how do you take that ID and start working with the actual object using pyVmomi? That question came up the other day in IRC but for another use case. The person who asked the question solved their own problem and left the solution. Ill show you the steps required to go from a ManagedObject Reference ID to the actual object you can work with. Please keep in mind accessing variables in python that begin with an underscore is bad, and anything bad that happens to your code because you decided to do this is your own fault. With that out of the way lets get to the code. Lets talk about what just happened here. 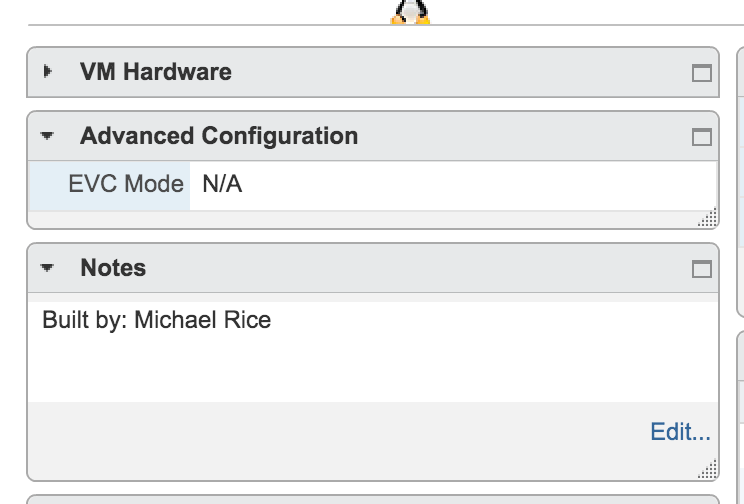 First I import some requirements and then I connect to the vCenter setting up a ServiceInstance (si). Next to show you what Datacenter objects I currently have in my inventory I get the content, then grab the rootFolder and the childEntity of the rootFolder which by default is the Datacenters. Next I simply loop through them printing the object it self so I can see the ManagedObject Reference ID which shows up as the ‘vim.Datacenter:datacenter-33’ where what I need is the ‘datacener-33’. The way its printed is ‘vmwareObjectType: managedObjectRefId’. Next I show you the value of children.name which will print the datacenter name for datacenter-33. As we see it has a value of 1000110. Now we are at the stage where I manually create a datacenter object using vim.Datacenter(‘datacecnter-33’) and assign it to dc. Next I do bad things by taking the _stub which is an instance of SoapStubAdapter from the ServiceInstance and assign it to the dc._stub This allows me to call the .name on the new object and prints its name. Thats all there is to it. Again I think doing this is really bad, and your code can break in all kinds of ways if _stub is ever changed on the back end, and it can with out notice which is why the syntax of _stub is used. Just because you can do something doesnt mean you should. Yay python and its slogan “We’re all consenting adults here”. Have you ever noticed the “Notes” section when looking at the VirtualMachine view either from the web client or from the vi client? Its a handy little place to leave various bits of information. I like to use it to put in who built the VirtualMachine and when, and if it had a ticket number that I could tie it to. -j UUID, --uuid UUID  UUID of the VirtualMachine you want to add a note to. Message to add to the notes field. Like the last couple of samples I have covered this one takes the same basic options of Host, User, Password, and Port. This sample adds 2 new options though. The first is the -j or –uuid. What is the UUID though and why do you need it? The UUID is a unique identifier given to the VirtualMachine by the vCenter. This makes it a good choice to use for tracking the asset. If you are unsure of where to get the UUID you can use the vminfo_quick script from my previous post. The next option is the -m or –message. This option set the message that will be added to the Notes section. Lets give it a try and see how it works out. ± |master ✗| → python set_note.py -s 10.12.254.137 -u 'administrator@vsphere.local' -p password -j 421b3c9a-3aef-3662-c476-5b564d045c08 -m "Built by: Michael Rice"
If you have any questions about this process please feel free to ask me and Ill try to help. Happy note setting! New version of pkg detected; it needs to be installed first. The process will require 5 MB more space. 727 KB to be downloaded. This added all the dependencies my system needed, and installed pyVmomi. Pretty simple. Now thats all done and we are ready to start running our pyVmomi code from FreeBSD. If you arent sure where to start check out one of my other posts! Happy coding! Have you ever wanted to automate creating a Datacenter or a Cluster in your vCenter using pyVmomi but didnt know where to start? I created a sample in the community samples project that does just that. It is pretty simple to use, and I will demonstrate that now. Name of the Datacenter to create. Name to give the cluster to be created. Where I work we have over 45,000 vSphere powered Virtual Machines, and its my job as a Sr. Developer there to make sure our code is stream lined, efficient, and scales the way we do. This is why I use property collectors when I need to work with objects from the vSphere inventory. To help new users I provided a sample I call vminfo_quick which as its name implies get info about a VirtualMachine, quickly. To test this lets run the getallvms.py from above on a vCenter with 576 VirtualMachines and time it. Almost 6 1/2 seconds. Thats not too bad right? Now lets run the vminfo_quick sample I provided against that same vCenter and see how it does. I included a counter and a timer in this sample so we dont have to run time. As you can see using a property collector vastly improves performance. I have tested this on an inventory with 1500 VirtualMachines and it still finishes in just under 1 second. I plan to cover details around what the property collector is and how it works in future posts. Stay tuned! Back in 2005 I got into making RPMs for Fedora, and by 2006 I became a sponsored packager. It was a hobby I really enjoyed, but back in 2009 or 2010 I just got too busy with work and had to pass the baton. About a month and a half ago I was looking for issues on the pyvmomi project that I could help close when I found this one asking for help making an RPM for Fedora. I got excited all over again about making RPMs so I made one and headed down the path to become sponsored again to package for Fedora. I created this bug report and became re-sponsored, and after a lengthy process I am happy to report that pyvmomi is now available in Fedora 19, 20, and 21. It is still in the testing phases for EPEL 6 and 7 but in another week or so should be available there as well. This puts us one step closer to being able to port the current OpenStack driver for vSphere to pyvmomi!